For our traditional skiing holidays, we decide to try Les Arcs skiing area thanks to the advice of friends who have already been to this resort twice for great skiing session. The first time we looked at the piste map, we thought it would be impossible to ski the Paradiski area in a day beacause of its length. We started in the resort of Les Arcs, which is already huge. From the Aiguille Rouge, there were snowy peaks as far as the eye could see and we said: “Maybe we’ll get that far tomorrow… and we did get there with our skis and snowboard, even with the children! We skied the whole day without ever passing the same place twice, except for taking the Vanoise Express both ways, of course, but that’s worth it for the view alone! After that, we wanted to try something different. Our son loves the snow park and he had a great time. I tried a few things, but my idea of skiing in Les Arcs is to go out freeriding on the mountain, which we also did together. Les Arcs is an amazing place to stay and to ski! 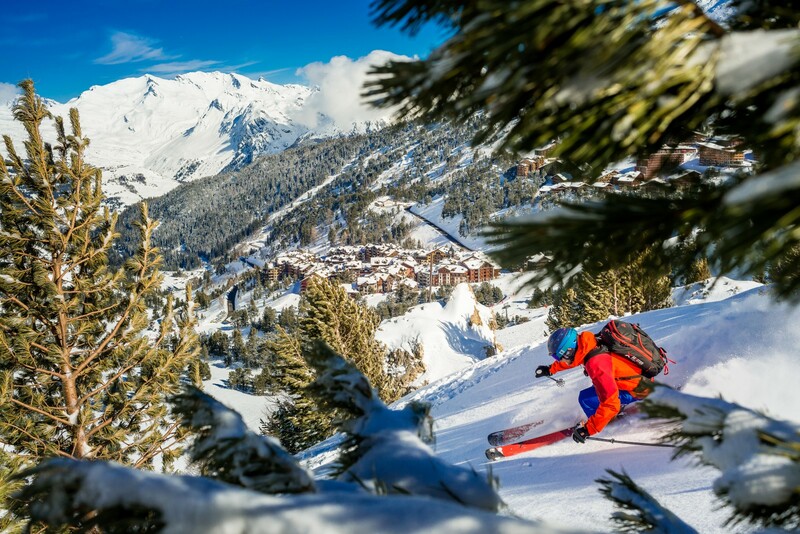 Skiing in Arc 1950, Le Village means having access to the whole of Paradiski and living in the the high-standing rentals offered by Pierre & Vacances Premium and Radisson Blu hotel groups. Which are located in 8 hotel residences that are worthy of the finest luxury ski hotels. Paradiski, the world’s second largest ski area with three ski resorts (Les Arcs, Peisey-Vallandry and La Plagne) linked by one of Europe’s largest cable cars: the Vanoise Express will give you the best ski experience. There’s room for everyone in Paradiski, so go and make your own tracks in this big ski area! The extent of the Paradiski area means you can ski at different altitudes in Savoie. So, from the top of the Aiguille Rouge at 3226m down to Villaroger at 1200m, you can test all sorts of snow and types of skiing according to your preference and level. With 70% of the ski area above 2000m, you are guaranteed skiing in a natural, snow-covered environment from the beginning of December to the end of April. Moreover, the modern infrastructures of Paradiski’s artificial snow system ensures that you can ski down to the other sites! 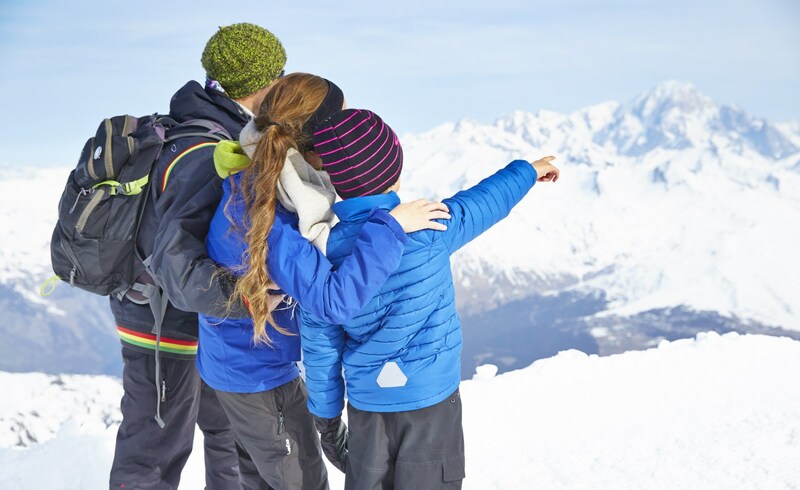 The Les Arcs ski area is bursting with activities and secrets that you can discover during your ski holiday. Of course, the first thing you will want to do is ski on the most beautiful runs in Savoie, but you should know that Paradiski is a vast playground where you don’t always need skis to have fun. The resort, nestled in the heart of the Alps, has ensured that you can find all you need on your smartphone, using the Paradiski Yuge application, which you should download right now! All kinds of activities await you in Les Arcs, with dog sled rides and much more. Every season brings its share of surprises, with new infrastructures and even new runs. There will be plenty of new developments for winter 2019 to celebrate the 50th anniversary of the ski resort of Les Arcs!